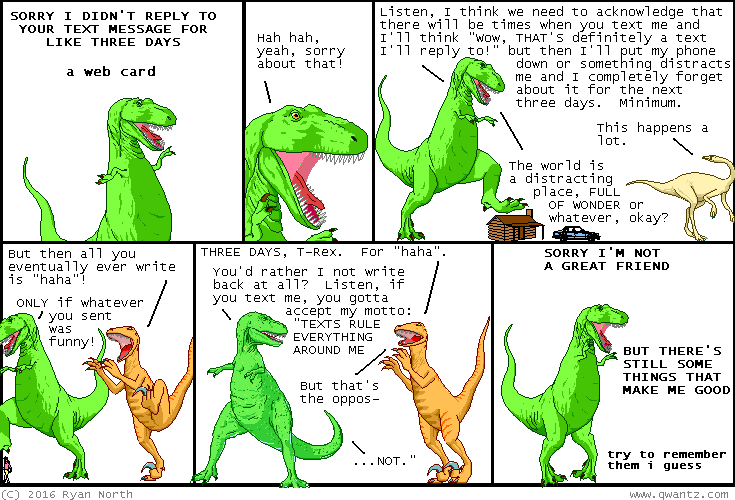 Dinosaur Comics - January 20th, 2016 - awesome fun times! –So here's how to get started on Facebook! January 20th, 2016: The cover for my upcoming book, Romeo and/or Juliet, has been revealed! Like To Be or Not To Be, the cover is by the amazing Noelle Stevenson. You can see it here, along with an interview about writing the book!